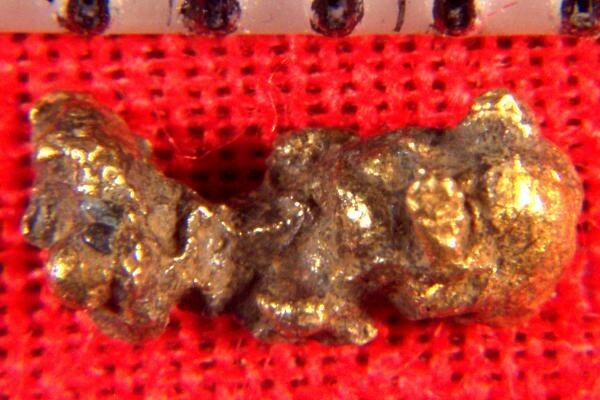 This natural gold coated Platinum Multi- Crystal Nugget from Siberia is quite long. These nuggets are hard to find and I have the largest selection I know of. Russia is the only place that these platinum crystals are found and to find them naturally layered with gold is extremely rare. 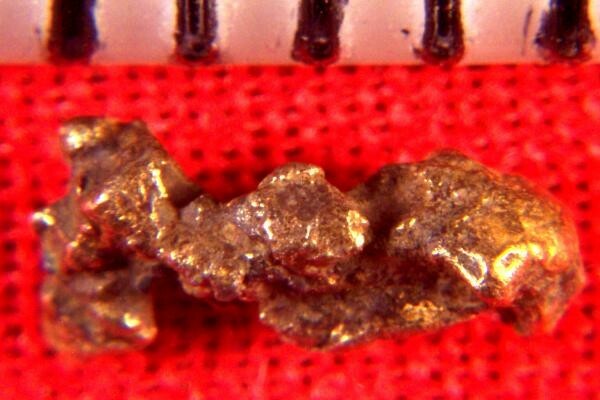 You can find some incredible platinum nuggets in my collection. This amazing platinum specimen is 1/4" (7 mm) long, and weighs 4.2 Grains (0.28 Gram). 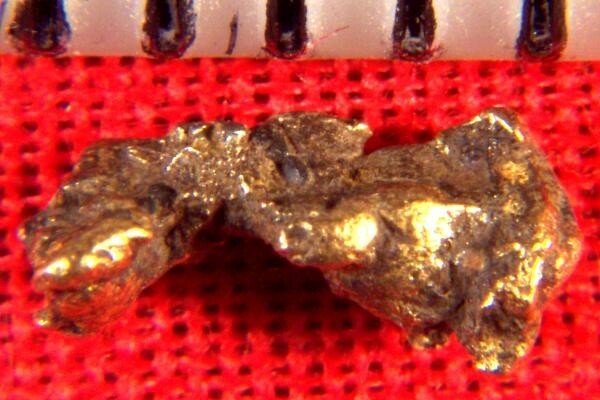 Gold coated Platinum Nuggets like this one are very rare and make a great investment and are a wonderful addition to any mineral collection. It comes with a location card authenticating the discovery location and certifying the fact that it is a natural platinum crystal nugget.